Just a few things to keep in mind before packing your sketchbooks! Even though the Benjamin's could be lining your pockets one day, let's remember that this day is way, way off and there is a lot of planning to do before you skip off to fashion school. Shiny magazine spreads, astronomical price tags and high-profile movies like The Devil Wears Prada all suggest a world of endless glamour without hinting at the real work completed before the red carpet is unrolled. Of course most professions require diligence and effort, but the fast-paced world of fashion is an entirely different kind of beast that most can't dream of taming. Before you're blinded by the bright lights of the runway, take a few minutes to consider the following. Here is the part where you take a deep breath, step back and evaluate yourself and your willingness to crawl to the top of the totem pole, because that's what it's going to take. The world of fashion is reserved for only the most dedicated and creative visionaries on the planet, leaving no room at the top for the mediocre. It's important to be able to grab the bull by the horns and take initiative because nothing in this line of work will be handed to you, making the fruit of your labors so much sweeter in the end. Keep in mind that graduates rarely start designing immediately after school, so it's also important to ensure you can handle a career with countless highs and lows. While it's important to have strong organizational and communication skills, a dash of insomnia never hurts. Have I been dreaming of a life in fashion for as long as I can remember? Am I willing to go the extra mile, or five, to get what I want? Am I willing to give up sleep and a large chunk of my social life? Now most importantly, am I willing to do everything it takes to make my dream a reality? Moment of truth: is your sewing machine collecting dust in the bottom of your closet or does it occupy the prime reality that is your kitchen table? It's impossible to stress enough that you must eat, breath, live and dream fashion. If your charcoals and sketchbooks are in hiding, then I would suggest enjoying the fashions of the nearest Betseyville boutique instead of aspiring to be her next intern. 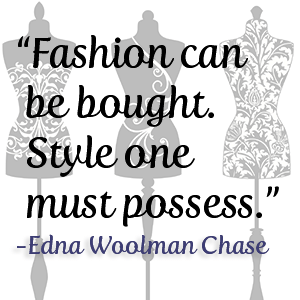 In the words of Edna Woolman Chase, "Fashion can be bought. Style one must possess." Remember in fifth grade when everyone at baseball tryouts miraculously made the team? Unfortunately, this industry is quite the opposite and without a bit of natural ability you won't be taking home a trophy. Raw talent is seen as a jewel that designers can mold and shape to fit their own brand, but it's not something that can necessarily be taught. Of course, through schooling and practice skills can be sharpened, but if they don't come somewhat naturally, you're probably better off in another field. It can be harder to be taken seriously without a degree from a well-known school so it's important to weigh the options carefully. College is the first opportunity most designers have to start making their mark on the industry and it's important to attend a school with the power to back you and your dreams. Do your research before applying and ask yourself some basic questions about the institution. How well-known and respected is the school? What opportunities will you have to travel to fashion hotspots or intern with top designers? How padded will your portfolio be when you graduate? Do you know anyone who has went to this school and what are their thoughts? Is your school of choice accredited by the National Association of Schools of Art and Design? Remember, these are only a handful of the important questions you should be asking yourself. Start writing questions when they cross your mind so you can research the answers later. 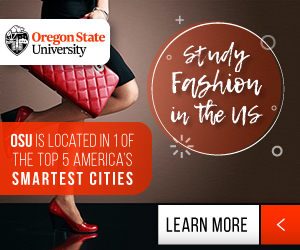 After all, getting a glimpse into your future as a fashion student and researching your top choices can be a lot of fun. When Coco Chanel said "The best things in life are free. 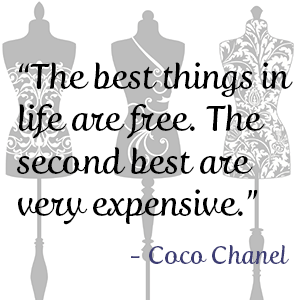 The second best are very expensive," she might as well have been talking about Fashion institutions. They aren't located on every bustling block and the best of the best come with hefty price tags. Keep in mind that community colleges and career schools are usually less expensive, but they won't offer you the resume boost of a high profile institution. When budgeting your future school, ensure that you add in tuition, books, room and board, material fees and even the less obvious, like food (even the dollar menu gets expensive after a while). While this may seem overwhelming at first, remember that countless scholarships, grants and loans are waiting for a great student like yourself to take advantage of. As disheartening as it may be to recognize failure as an option, it's important to at least acknowledge the "what if's" in life. For example, what if a year into your education you decide that a fashion degree isn't for you? Will you choose to utilize your new skills to teach an art class? Make it a hobby and sell your designs on Etsy? Do some caricatures at the local park for crumpled dollar bills? Whatever your backup plan, ensure that it's a solid and obtainable goal. Rejection is hard, but it will hit a lot harder if you're left in the rain with nothing but your sketchbooks due to a lack of planning. Congratulations, it looks like you've made it through the entire list and are now one small step closer to the fashion school of your choice. Take another deep breath and go chase your dreams. Just remember, only the sharks survive in the fashion fish tank.